Whole cluster pressed, stainless steel fermented. Malolactic blocked. Aromas of prickly pear, sea breeze, and white flowers. Flavors of honey, peaches, and minerality. Bright acidity, lingering finish. Picpoul Blanc is quite rare in California and very few acres are planted in the United States. 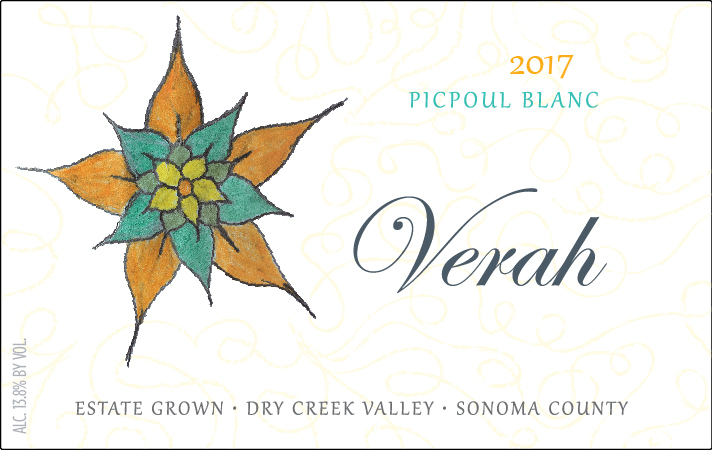 We planted 1.5 acres in 2012 and it is primarily used in our Verah Rhône style white blend. We were lucky to have a little bit extra in 2017 to bottle the Picpoul on its own.